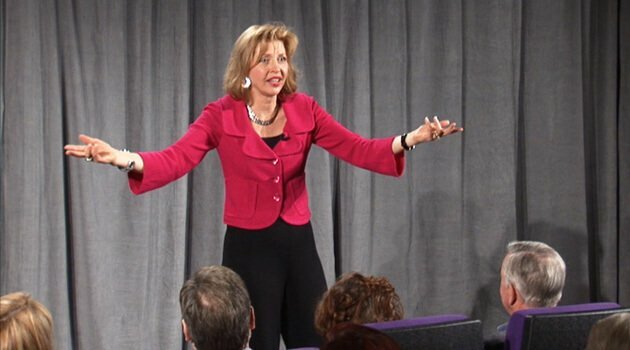 Roxanne Emmerich is America's most sought-after workplace transformation expert. She is listed by Sales and Marketing Management magazine as one of the 12 most requested speakers in the USA for her ability to transform negative workplace performance and environments into "bring it on" results-oriented cultures. Roxanne's book Thank God It's Monday reached and maintained its position as #1 on the Amazon business best seller list and made the Wall Street Journal best seller list-all in the first week of its release. Roxanne's list of clients is filled with industry leaders such as Blue Cross, Pfizer, Allianz, Lockheed Martin, Prudential, and hundreds of other organizations in almost every industry. Roxanne has been inducted into the National Speaker Hall of Fame for her impact and quantifiable effectiveness. Only 140 speakers worldwide have ever received this highly coveted designation.